BAR Digital Media provides a newsletter service for lawyers & law firms. This service helps partners, solo practitioners, and associates get more referrals from their relationships. Want to see what we’re talking about? Click here to see our sample newsletters. You’ll see they are straightforward and direct. We send email newsletters on your behalf to your referral network. These newsletters keep you on the top of everyone’s mind. 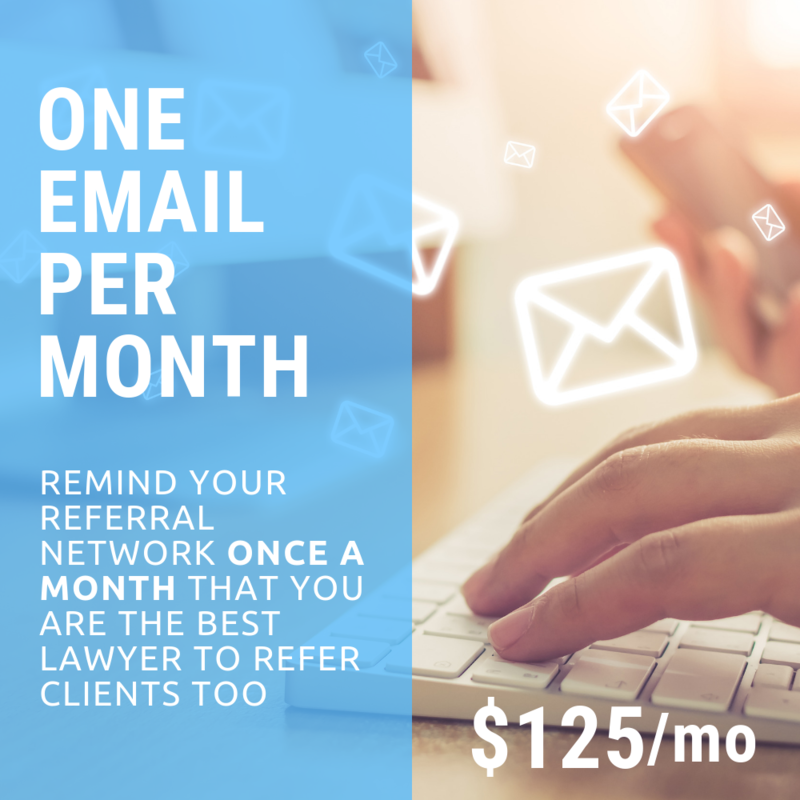 That way, the next time someone in your network has a referral in your practice area, you are the first lawyer that they think about. But a newsletter wouldn’t make any sense if it takes up a lot of your time each month. Once your account is set up, our service will only take you three minutes a month. We’re not joking. That’s it. Is it easy? Yes, we engineered our service to fit right into your current workflow. After your account is set up, all you’ll have to do it reply to emails. It won’t require any creativity on your part and you won’t have to learn any new processes. We do all the heavy lifting; all you have to do is respond to a few emails. Decide whether you want to send one or two newsletters per month. We highly recommend two. Click one of the images above. Agree to our Newsletter Services Agreement. You can do this right now on this website. After you submit this, you will receive an email confirmation and you will be automatically taken to the appropriate payment page. Initiate the monthly subscription payment. You will automatically receive a confirmation email with further instructions. It will direct you to fill out our new customer survey – which will help us understand your practice area and preferences. Once you finish the survey, you will be automatically taken to our page on collecting your contacts. Collect your contacts and put them on the provided spreadsheet. This is the most time-consuming step of the entire process. If you have a competent secretary or law clerk that knows your network, you can delegate this down to them to get started. Once your spreadsheet is finished, you can upload it to our website. Film your invitation video using your smartphone. While this is optional, we highly recommend it! Here is the one I made for my law firm. We will edit the video for you, add music, and upload it. All you have to do is film it. You will receive detailed instructions on how to do this. After this, you just have to wait for us to set up your account and draft your first newsletter. We will create your invitation page, edit your video, and get everything ready to invite all your contacts. We take it from here, all you have to do is respond to our emails. That is most of the basics. If you have any questions, feel free to contact us at any time.